We at Comic Impact know how much your soul aches when you don’t have a new POW, Pick Of the Week Podcast to listen to. That’s why we cooked up a fresh, new show for your listening pleasure. 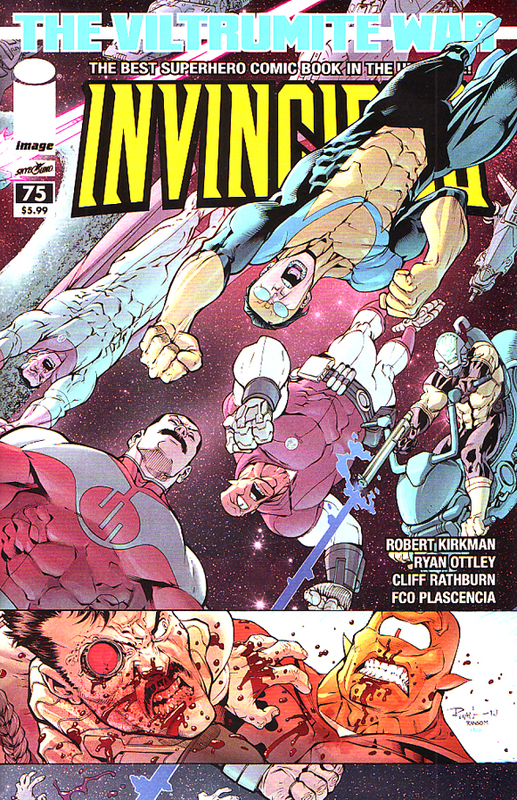 This week Ian has the pick and he goes with Invincible #75. Is it worth the $5.99 price tag? You’ll just have to listen to find out. Also, Ken can’t stop laughing at a possibly pornographic cover for Batman and Robin #16, Simon’s still busy with LBCC stuff and Sheldon didn’t read anything. How could you not listen?